58472-RB is rated 3.8 out of 5 by 16. Can you buy a longer hose? If so, what lengths are available? If so, what is the part number of the longer hose? If so, what lengths are available? My shower head is approximately 7 feet above the shower floor. I'd like a hose long enough to reach the floor, with a little extra to spare. Thanks. Which valve trim will match this is the RB color ? 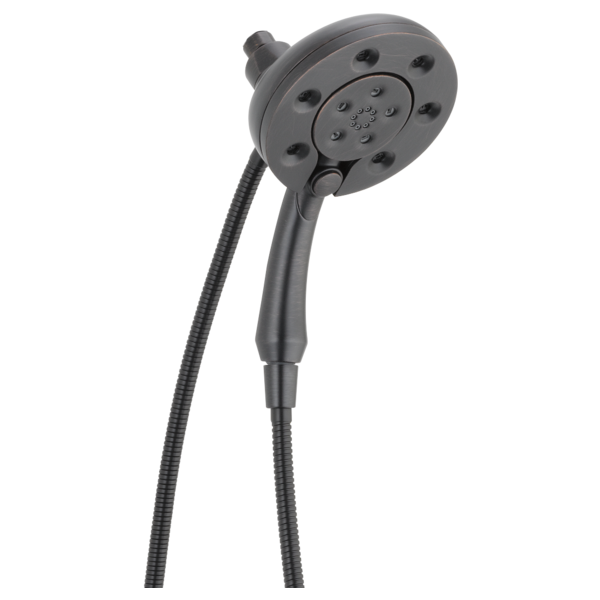 Hi CREEN, The handshower model 58472-RB coordinates with the Addison and Grail collections. Of these, the Addison is the only one that comes in the RB finish as seen here: http://www.deltafaucet.com/bath/details/t17492-rb.html?proUser=true.